Winemaking is just as much about the people that make the product as it is the grapes used. 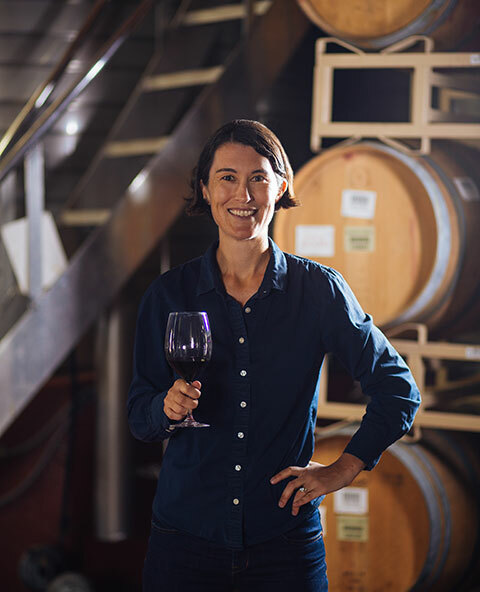 Molly’s advice for someone trying to get into the wine industry is to ask yourself how you can make Napa Valley better, not what Napa Valley can do for you. I took a quarter off from UC Davis to work harvest at Beringer Winery with Ed Sbragia, Peter Heitz and Aaron Pott. I’ve been lucky enough to be influenced by Ed Sbragia, Herb and Jennifer Lamb and Mike Trujillo. They have taught me that winemaking is just as much about the people that make the product as it is the grapes used, that socializing is good business and working hard is essential. To make something that you can hold in your hand, something that will bring people together and give pleasure, something that can be talked about for years to come is extremely rewarding. The wine industry is cyclical, meaning that different challenges are present depending on what part of the cycle we are in. Current challenges are finding quality Cabernet Sauvignon available for purchase or vineyard land for sale. Cultivating excellence means inspiring every employee to do their best work at all times. We cultivate excellence by clearing stating our goals, then giving employees the tools and freedom they need to achieve them. We just became a Napa Green certified winery. Our winery donates to local causes and we ensure that our company is successful so our employees can give their families a high quality of life. If I wasn’t a winemaker I would be an architect. Ask yourself how you can make Napa Valley better, not what Napa Valley can do for you. I am fluent in Spanish and have traveled frequently in Mexico and Chile.